Pittsburgh Property and Debt Division Lawyer | Lisa Marie Vari & Associates, P.C. 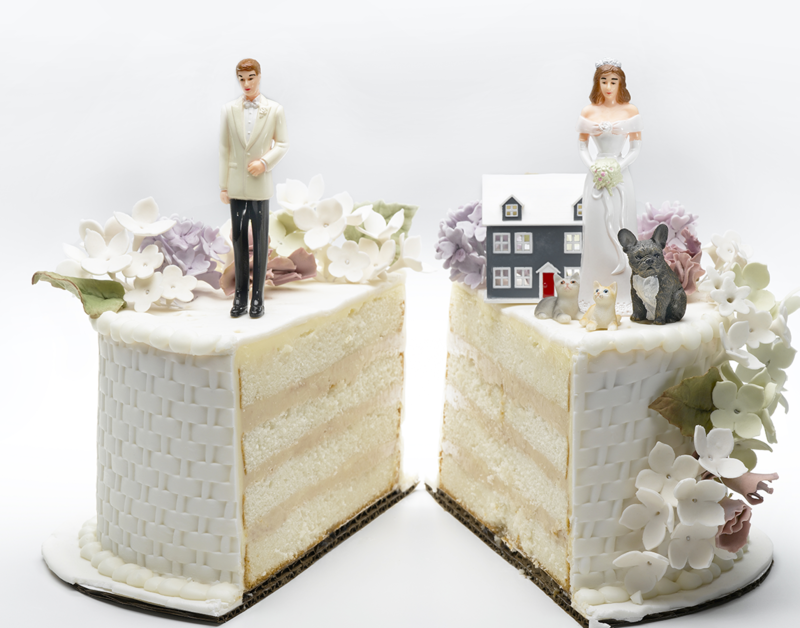 Spouses who wish to divorce often have assets and debts that need to be divided as part of the divorce process. In Pennsylvania, the term “equitable distribution” is the legal term for the process of dividing the marital assets and marital debts. If spouses who are going through the divorce process in Pennsylvania are unable to agree about the division of their marital assets and marital debts, the spouses may elect to engage in the formal court process for equitable distribution. The decision of whether to negotiate an out-of-court settlement or to proceed to trial often involves a cost-benefit analysis. Pennsylvania law allows separate or nonmarital assets to generally escape the equitable distribution process. Nonmarital property includes pre-marital assets (property that a spouse brought into the marriage), inheritances received by one party during the marriage, gifts to a spouse other than from the other spouse, property sold or disposed of in good faith during the marriage and property excluded by a valid prenuptial agreement. However, the increase in value during the marriage of nonmarital property may be considered a marital asset if the increase in value was not excluded from consideration in a antenuptial agreement (also known as a prenuptial agreement). Furthermore, if a husband or wife decides to use some premarital or nonmarital funds for a common purpose, such as purchasing a home in joint names, those funds normally will be converted from non-marital property to marital property. Marital assets include property and income acquired during the marriage. A home,business started by both or one of the spouses during the marriage, furniture, retirement accounts, other investments and motor vehicles purchased during the marriage are examples of marital assets. In these examples, the particular asset may be considered to be a marital asset even if it was acquired in only one spouse’s name as long as it was acquired during the marriage and was not acquired through the use of the spouse’s non-marital assets. Some assets may have both a marital and non-marital component. In that case, the non-marital value of the asset is excluded from the Pennsylvania equitable distribution process. It is important to note that in Pennsylvania the increase in value during the marriage of a non-marital asset may be considered a marital asset although the non-marital asset itself may be excluded from the equitable distribution process. In addition to dividing property, most couples also have debts to divide. Marital debts are debts that were acquired by the parties after the date of marriage and before the date of final separation. Marital debts include such items as mortgages, loans, credit card balances, tax obligations and judgments. A debt may be a marital debt even if only one of the parties contracted for the debt as long as the debt was incurred during the marriage and was arguably for a marital purpose. Before an agreement can be reached or the parties can proceed to a Pennsylvania family court for equitable distribution, the family law attorneys and the spouses must exchange documentation proving the value of marital assets, the amount of marital debt, and the incomes of both spouses. Sometimes, both spouses have access to this information and can provide it to their attorneys. In other cases, only one spouse has access to the information and refuses to provide the information to the other spouse. “Discovery” is the term used for the formal legal process of compelling the spouse possessing information about the marital assets, marital debts or income of either party to provide copies of the information to the requesting spouse or their attorney. It is certainly much less expensive for the spouses to agree to informally exchange the documentation in their possession and then provide it to their respective family law attorneys than for the family law attorneys to file the formal discovery requests to the other spouse. However, the formal discovery process may be required if one spouse will not voluntarily exchange information or when one spouse attempts to hide the existence of marital assets and discovery must be completed to uncover the hidden assets. When real estate, pensions, businesses or other types of assets are involved, it is often necessary to obtain an appraisal by a certified expert to determine the value of the asset. These appraisals vary in price depending upon the asset that is being valued, but are a key component in determining the value of the marital estate to be divided in equitable distribution. As stated above, equitable distribution is the process of dividing marital assets and marital debts. Because Pennsylvania is an equitable distribution state and not a community property state, our Pennsylvania family law courts divide marital assets and debts based upon principles of equity, or in other words as the court thinks is fair. This division of assets and debts does not necessarily mean that they will be divided on an equal basis. Under Pennsylvania equitable distribution laws, courts consider a variety of factors and need not weigh the factors equally. This permits more flexibility and more attention to the financial situation of both spouses after the divorce. However, it also makes the resolution of property issues less predictable. Some of the factors that the Pennsylvania courts consider in equitable distribution include: the length of the marriage, whether either party had previously been married; whether either party has significant non-marital assets including assets excluded by a prenuptial agreement; the age, health, and income of the parties; whether either party contributed to the increased earning potential of the other; the standard of living of the parties during the marriage; the tax consequences of any award and whether either party will be serving as the custodian of any minor children. Fault for causing the end of the marriage is not a consideration in the equitable distribution process. Although divorce may be emotional, most cases do not end up in a contested trial. Usually the parties negotiate and settle such things as division of property, spousal support, andchild custody between themselves, often with an attorney’s help. It may not be possible to predict with complete precision what a judge would do, but an experienced Pennsylvania family law attorney can give a range of possible results. With that knowledge, parties often prefer to reach their own agreements rather than go through the monetary and emotional expense of a trial. If an agreement is reached, it may be drafted into what is called a marital settlement agreement also called a property settlement agreement. A marital settlement agreement is a contract between the spouses that divides the marital assets and debts and resolves other issues relating to the divorce including child support, spousal support, alimony, counsel fees and costs, and child custody. It is important for both spouses to fully understand the terms of a proposed marriage settlement agreement before they sign the agreement. Once signed, marriage settlement agreements can be enforced by the Pennsylvania family court if either party fails to comply with the terms of the agreement. There are only very limited circumstances in which a marriage settlement agreement can be set aside or modified by the court; however, child support and child custody terms are generally always subject to modification. If divorcing spouses cannot agree upon how to divide their marital assets and debts, the spouses will be required to go through the formal court process for equitable distribution. The court process generally requires each party to file an Inventory or in other words a listing of what they believe is the marital assets, marital debts and non-marital property. The local rules of some county courts allow the spouses to obtain a conference before the court regarding equitable distribution immediately after a divorce complaint is filed and both parties file their Inventories. Other county courts (such as Allegheny County) prohibit any court conferences or hearings regarding equitable distribution until such time as a divorce decree time as a divorce decree is ready to be entered which, in a contested divorce, could involve a two-year wait for such a conference or hearing to be scheduled or a one year wait if the Pennsylvania Divorce Complaint is filed after December 5, 2016. No matter which county the case is filed in, generally the court will schedule one or two pre-trial conferences to attempt to mediate the disputed issues in the equitable distribution case. Only once a settlement is not reached in mediation will a trial be scheduled. In many counties, the pre-trial conferences and the trial may be conducted by an equitable distribution master instead of an elected judge. If the equitable distribution hearing is conducted by a master, the master will issue a recommendation to the judge on how the case should be resolved. In this situation, either spouse has the right to file exceptions or an appeal to the recommendation of the master and have the issues reviewed by the family court trial judge. In Pennsylvania, Marriage Settlement Agreements are considered to be the same as other legally binding contracts entered into by individuals and will be enforced by the Pennsylvania family law courts. Orders for equitable distribution of marital assets and debts will also be enforced by the family law judges. Failure to comply with a Marriage Settlement Agreement or equitable distribution order can result in the imposition of any number of sanctions including imposition of attorneys’ fees, seizure of assets, or incarceration. Marriage Settlement Agreements and Pennsylvania equitable distribution orders are rarely modified by the courts absent a written agreement by the former spouses to modify the documents. Generally, modification of such agreements or orders by the family court only happens if there has been fraud, duress, coercion, or a mutual mistake in the drafting of the order or agreement. However, as stated above, any terms regarding child custody and child support are generally always modifiable by the family court. Our Pittsburgh equitable distribution lawyers have represented over 1500 PA family law clients. We believe we are different from many other Western PA family law attorneys. Our family law attorneys can inform you how we can help you achieve a fair division of your marital assets and debts. Our family law attorneys can also advise you whether a marriage settlement agreement or the equitable distribution process is best for you. Appointments may also be available in other meeting locations throughout Pennsylvania upon advance arrangements with our office. Ask the secretary scheduling your appointment for details including appointment locations. Our PA equitable distribution law office routinely accepts cases in Allegheny County,Beaver County, Berks County, Butler County,Clearfield County, Lawrence County, Mercer County, Washington County, and Westmoreland County. Our Pittsburgh marital property attorneys accept cases in other Western PA counties such as Armstrong County, Erie County, Fayette County, Greene County, Somerset County and Venango County on a case-by-case basis.